Thirty Students in the BSN program have received their certificates of completion of RLE (Related Learning Experience) in a Culminating Rite after a Eucharistic Celebration at the St. Freinademetz Theater on May 29, 2018. 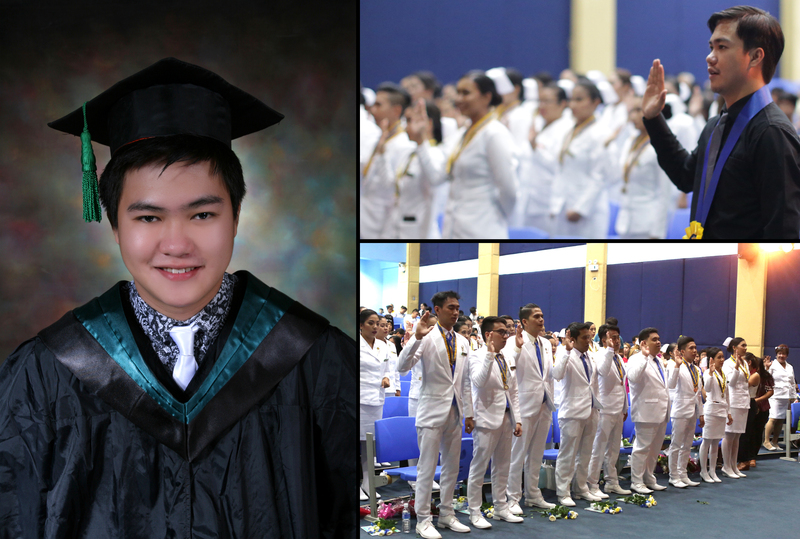 The guest of honor and speaker, Mr. Irvin Ross R. Molina of Batch 2011 had recalled good memories of his past years in College that enabled him to become what he is now – a Training Officer, and a Nurse Supervisor of a leading Private Hospital in the Province. He aptly shared what the title Nurse stands for, as a Divinian like him and that is, N – notable and willing to share, U – understanding with care, R-reliable right from the start, S- sincere with a loving heart, E – energetic.